I have many online tasks to do and I’m glad I’m very comfortable with the office and computer desks I’m using right now. 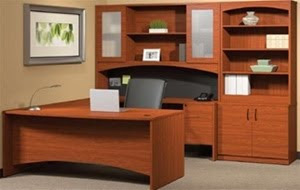 I was looking for a nice and convenient home office furniture to replace my computer table when one company in our rented place in ML building sold the big office table to me. They’ve replaced their big office furniture with small modern office desks because they want to save space.